When it comes to choosing the right career, most students end up taking a bad decision. Since engineering is one of the most sought-after choices in terms of recognition and a lucrative sum, there’s no denying the fact why students in majority prefer undergoing a B.Tech. or an M.Tech. course. In India, there are 10,396 engineering institutes approved by AICTE. And the massive number of intake capacity of these colleges is the bright example. Speaking of those unapproved engineering colleges in India, there are no precise data. It is estimated that the total number could easily surpass one lakh or hover around in some lakhs. Being a trusted career consultant, we understand the concerns of the students and extend our helping hands in choosing the right engineering colleges in India. 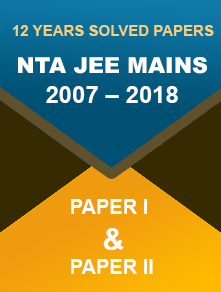 NTA, the exam-conducting authority, will declare the JEE Main 2019 result on 31st January (for January exam) and 30th April 2019 (for April exam). Students seeking admission at the elite IITs need to appear for the IIT JEE Advance exam. Remember, top 2,24,000 candidates will be eligible to appear in the test. 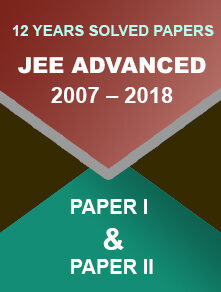 As soon as the results are out, the Joint Seat Allocation Authority (JoSAA) consider JEE Main rank will conduct the counselling process for admission to B.Tech. programmes. They need to fill the choices of engineering branch and pay the counselling fee at their desired colleges and universities. Usually, the counselling process involves 3-4 rounds before declaring the seats allotted to the candidates. Students with allotted seats can proceed ahead with the admission by paying the admission fee. In case, students are not allotted seats (due to unavailability of seats or any other reason); the Authority of the particular college is bound to refund the 100% fee. Candidates cannot withdraw themselves from taking admission if they are allotted seats after all the rounds. Different colleges have different instructions. Read all the directives and information carefully before applying for the counselling. Many say, engineering is a ball game and it is a quite complicated thing. A few months ago Exams Planner conducted a survey where our experts met engineering aspirants, IIT and IIIT students and sought their input pertaining to the admission process. We came to the conclusion that at least one student out of four aspires to study in the IITs, one in two looks for NITs and others eligible don’t mind getting into the state-level institutes. Right Stream: Are you sure about taking up the right engineering branch? If not, you need to seek expert assistance. You need to know your strength; you just can’t pick any random subject and end up miserably. 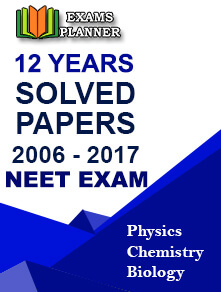 Engineering Physics, Aerospace Engineering, Automobile Engineering, Chemical Engineering, Electronics Engineering, Ceramic Engineering, Marine Engineering, Textile Engineering, etc. are some of the most popular engineering streams to choose from. What’re Your Criteria: Accreditation, scholarships, government or private, courses, facilities, infrastructure, placement, internships, cost and faculty – these elements play a crucial role. So, you need to write down your criteria and then rank your priorities like faculty-student ratio, college amenities, placement record, affiliation, etc. Categorise Colleges: IITs and NITs will undoubtedly surely adorn the top space. However, not everyone can get into the Indian Institutes of Technology and the National Institutes of Technology. If you are one of them, categorise colleges that are easy to get enrolled in. Consider all the above factors while categorising the institutes - both private and government. Scores, Strengths & Aptitude: Simply scoring in the 12th won’t help as one would need to qualify the engineering entrance exam to apply for the particular programmes. This needs ample preparation. Recognise your strengths. Identify natural abilities, i.e. aptitude. It is more of interests. Goals: Certainly, this can be one major determining factor. What’s your goal – to do a job or to start a business? Most college pass outs these days believe in starting up a business unless their parents have one. Businesses in India and private jobs in the USA would fetch a lot of money. But government services would be the best choice if you want power. Be clear with your primary motives – it will help select the right college. Background Check: You need to keep a check on the faculty strength, location, stream preference, brand positioning, placements and competing scenario. Money Matters: In May, we had conducted a survey where we sent out 5 of our experts to various senior schools in Delhi NCR. The only surprising reason these experts came across is that the students were more inclined towards government colleges than the private ones because of Money. The academic expenses of government colleges suit the budget of the middleclass families. But only 10% of them make it to the revered government institutes and others end up getting into the private colleges. In such cases, education loans come in rescue. Indian Institutes of Technology (IITs): Governed by the Institutes of Technology Act, 1961, IITs are autonomous public institutes of higher education. The best in India, admission to IITs is done through entrance exams. There are, currently, 23 IITs in the country. National Institutes of Technology (NITs): Declared as institutions of national importance, NITs are the second best in the country (after IITs) and offer degree programmes at Masters, Doctorate and Bachelors levels in several branches of engineering and science. Currently, there are 31 NITs in India offering 19,000 seats for UG programmes and 8,050 PG programmes. Indian Institutes of Information Technology (IIITs): Founded by the Central Government, IIITs are a group of institutes focused on IT (information technology). It has 4,000 seats reserved for UG programmes and admissions are conducted through JEE Main and JoSAA (Joint Seat Allocation Authority). Affiliated Colleges: Maximum in numbers, such affiliated colleges are found all over India and account for more than 90% seats. While selecting, one must act carefully. Deemed Universities/ Private Universities: Birla Institute of Technology and Science (BITS), Pilani is an Institute of Eminence. The Institute conducts computer-based exam for admission to undergraduate programmes. BITSAT 2019 will test the scientific aptitude of the students for admission to various engineering courses. Like BITS, numerous deemed universities or private universities have emerged out to accommodate more and more budding engineers. There is no denying the fact that JEE Main is the most sought-after engineering entrance exams in the country. More than 13 lakh engineering aspirants appear for the test to get into their preferred engineering institutes. 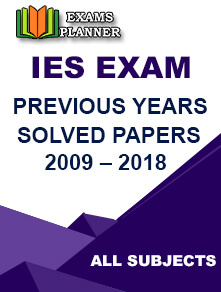 However, one can take several other undergrad engineering entrance exams to widen admission opportunities – as many top-notch engineering colleges intake admission on the basis of the following exams other than Joint Entrance Examination Main. Ranked amongst top 5 private engineering schools in India, Manipal Institute of Technology has both B.Tech. and M.Tech. programmes on offer. Students can seek admission in various engineering streams such as Electrical, Building Science, Computer Science, Mechanical and Chemical. The B.Tech programmes are quite flexible as students can choose from elective and open elective courses. Optional subjects include Biotechnology, Chemistry or Biology with 50% marks together in Mathematics, Physics and one optional subject. Manipal University Admissions are majorly done through MET. It is the only entrance exam for admission to engineering courses in MIT. Manipal University Admissions are majorly done through MET. It is the only entrance exam for admission to engineering courses in MIT. Previously known as Manipal University Online Entrance Test (MU OET), Manipal Academy of Higher Education has started the Manipal Entrance Test (MET) 2019 application process online. The last date to submit the form is 15th March 2019. The first and second attempt of MET 2019 will be conducted between the third week of April to the first week of May 2019. The registration process for SRMJEEE 2019 is in progress. Admission to various UG engineering programmes of SRM University will be based on the entrance test. The SRMJEEE 2019 exam is the gateway to 7,000 seats across its 4 campuses. The UPSEAT 2019 exam will be conducted by University of Petroleum and Energy Studies, Dehradun for admission to B.Tech courses. The varsity offers undergraduate engineering courses with specialisation in B.Tech Mechanical Engineering, B.Tech Civil Engineering, B.Tech Mechatronics Engineering, B.Tech Automotive Design Engineering, B. Tech Fire & Safety Engineering, etc.